Fazlalizadeh's work has been covered by the New York Times, NPR, MSNBC. Her work has been exhibited in galleries and museums in New York, Philadelphia, Los Angeles, Oakland, and Detroit. She has lectured about her work at Brooklyn Museum and colleges across the country. 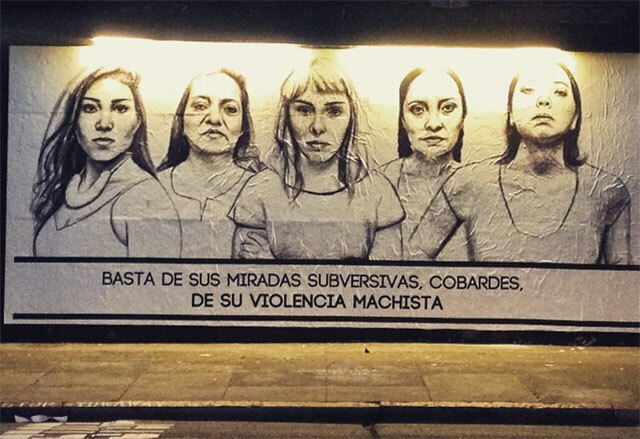 Currently, Tatyana is producing a public art series titled Stop Telling Women to Smile that has garnered attention around the world for bringing light to street harassment and women's rights via visual art. She is currently an artist in residence at the Made in New York Media Center by IFP and was recently named one of Forbes' 30 under 30 for 2015. Visit the website Fusion created for Tatyana's project. Watch some powerful videos from the artist.